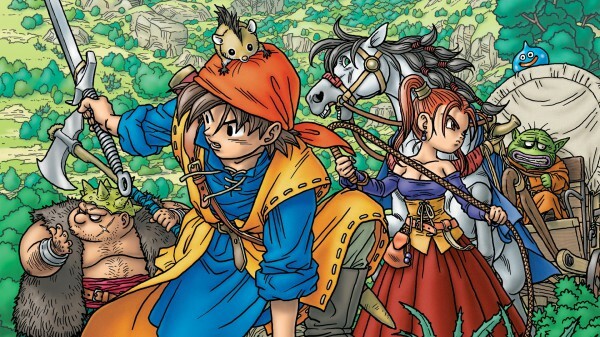 Dragon Quest 8, originally released on PS2, is coming to the 3DS in Japan this Summer with a smattering of new content. Dragon Quest VIII: Journey of the Cursed King for 3DS was announced on a teaser site, and silicon era reported on the new content for the game, including two new party members – Gerda, a female thief, and Morrie, owner of the Monster Arena, from Dragon Quest: Monster Battle Road. You can also look forward to some kind of StreetPass element, although exact details on how it will work with the game have yet to be confirmed. The Tokyo Metropolitan Symphony Orchestra will handle the soundtrack, and fully-voiced events have also been added. Square Enix e-Store: A “Candy Cane” weapon for Yangus that always hits. Best used against metal-type monsters. Amazon Japan: A “Healie T-shirt” armor that can be equipped by any party member, and increases HP bits at a time while walking. Aeon: A “Healie Cap” headgear that can be equipped by any party member, and increases Wisdom along with maximum MP. Game Tsutaya: “Gold Bamboo Spear” that can be equipped by the protagonist. It’s a pricey spear that is made of all gold, and can be sold for 5,000 gold. 7-Eleven: A “Lucky Pendant,” an accessory that can be equipped by any party member. This magic item increases evasion from enemy attacks. Yodobashi Camera: A “Metal Slime Tray” shield that can be equipped by all party members. It provides users with a little defense against magic damage. Dragon Quest 8 will release in Japan on August 27 for 3DS. There’s no word yet on whether it will see a western release, but we’ll keep an eye out.